Can you feel it? The past few weeks have brought with them a surge of spring energy. 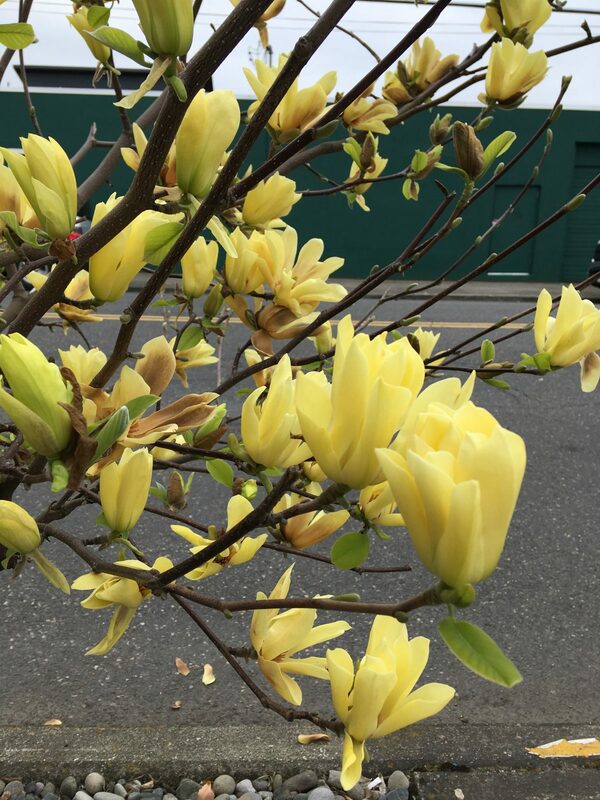 Here in Portland, the streets are adorned with Camelia, Magnolia, Daphne, and Daffodils bursting forth with a vibrant rainbow of blooms. On March 20th we celebrated the Vernal Equinox, which means that the day and night were of equal length. From now until September, days will be longer than the nights (peaking, of course, during those long summer days in June). This is a very welcome transition here at Frogsong Farm. It means growing season has begun! A bronze-dusted “Butterflies” Magnolia tree spotted in Portland. March was all about the soil. While we can feel the lure of seeding, planting, and tending around the corner, all of these acts rest firmly on the foundation of healthy, well-managed soil. Healthy soil is the reason we’re able to grow robust hemp plants that produce impressive amounts of CBD and contribute to a healthy overall ecosystem on our farm. Beyond that, soil is the foundation that feeds and supports life on this planet. To be a farmer is to be in an active relationship with the soil. 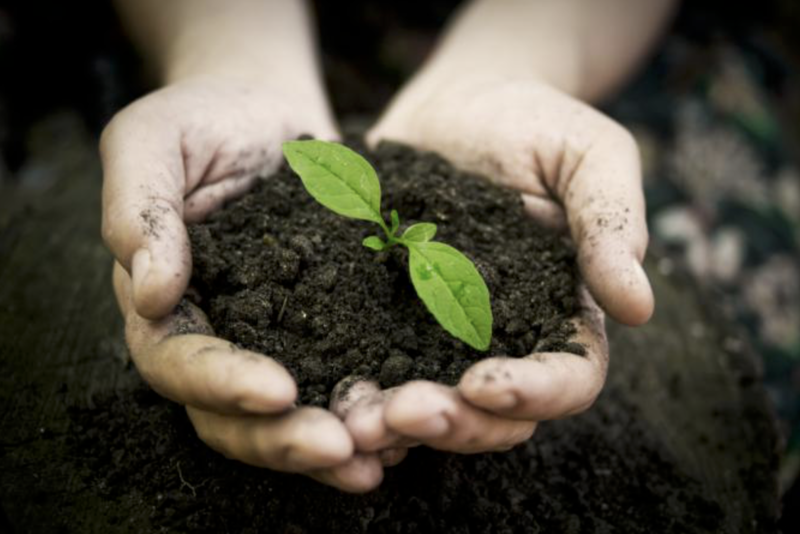 Healthy soil is dark, fluffy, and full of nutrients. In celebration of B Corp Month, we’ve shared two blog posts discussing different aspects of Frogsong Farm’s vision for sustainability. These pieces can be found here. First, we share our vision for a zero-waste future in the post titled “Lightening Our Footprint at Frogsong Farm”. 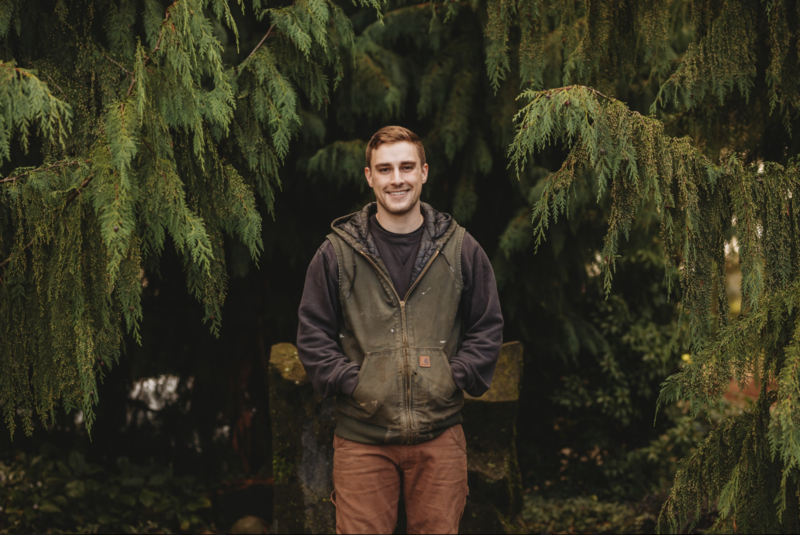 This is an interview with our Lead Extractor, Reid Adams.Then we spoke with Lead Grower Brett Adams to discuss our relationship with soil and our plan for building a biologically diverse ecosystem at the farm in the post titled “Soil Matters” .We invite you to read, learn, and share with those you know who are passionate about sustainability. Farmers Market season is starting up again. We’ll be at the PSU Farmers Market on Saturdays starting April 6th. Then in May we’ll be also be at the Beaverton, Milwaukie, and Shemanski markets. 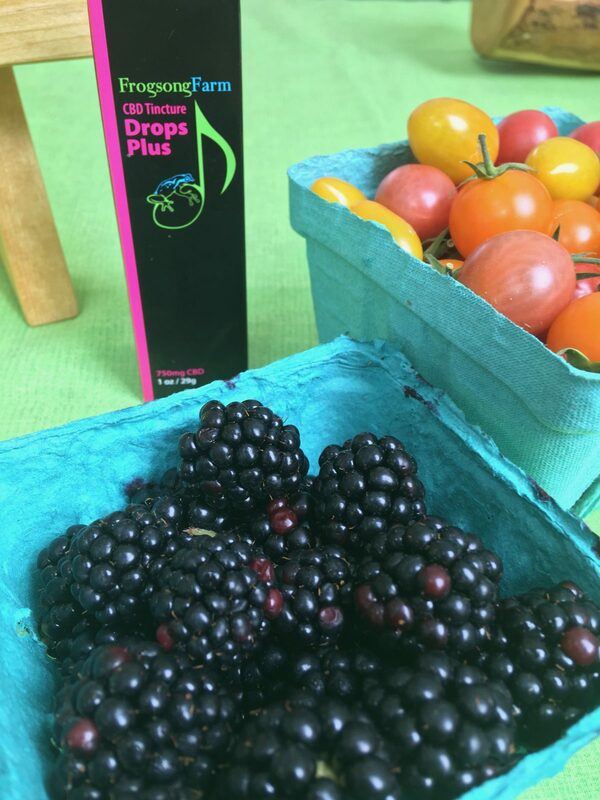 Wherever you are, we invite you to make a habit this season of frequenting your local farmers market. And if you’re local, look for the Frogsong booth and say hello! Like parks and libraries, farmers markets play an integral role in strengthening our communities. Additionally, we are partnering with Coalition Brewing this season for a weekly CBD-focused outdoor market. 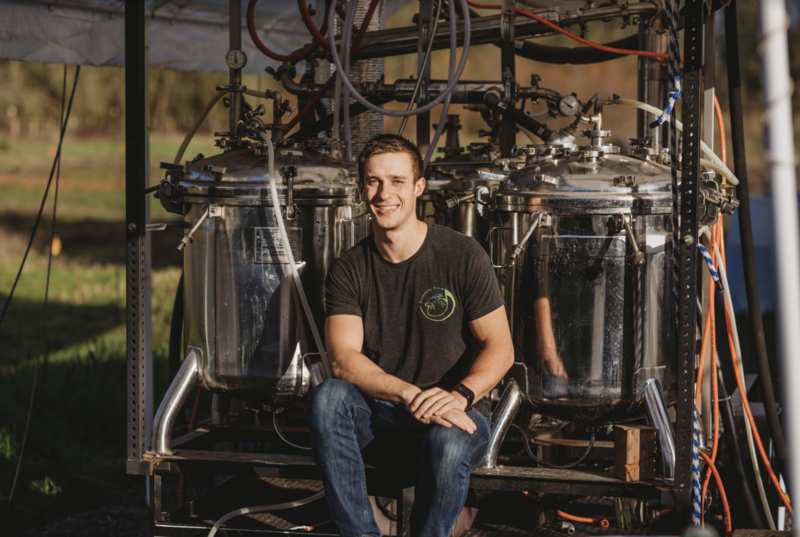 Oregon is known for its craft beer scene, and Coalition has upped the ante by innovating a CBD beer which has continuously made news headlines. (Click here to learn more). The Wellness Farmers Market will be every Sunday May through October, from 11:00-2:00 at Coalition Brewing on SE Ankeny Street. Come try a variety of CBD products and get to know your local producers! More details can be found here. Little known fact: hops and cannabis are botanically related. Notice the similar flower structure. Hops also produce trace amounts of CBD. We’d like to close with an excerpt from our recent blog post. “At Frogsong Farm, we never use pesticides or herbicides on our hemp plants or on our fields. Instead of spraying for pests, we plant a variety of plants and flowers which attract a diverse, thriving ecosystem of insects, both “good” and “bad”. This diversity helps establish a dynamic population balance that prevents unwanted insects from growing to a point where they become a problem. In a system like this, there is little need for synthetic chemicals to kill unwanted insects or plants; a healthy ecosystem largely regulates itself. We simply nudge it in the right direction. We will have plenty of lively updates as spring unfolds. Stay tuned! And as always, thank you for being a part of our community. PS: How’s your personal supply of CBD? 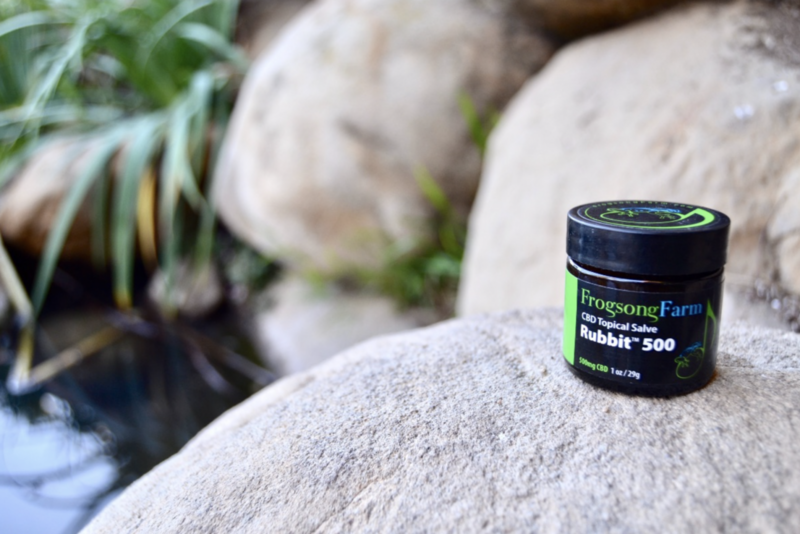 You can reorder CBD tinctures, salves, and aloe gel any time from our web store at FrogsongFarm.com. 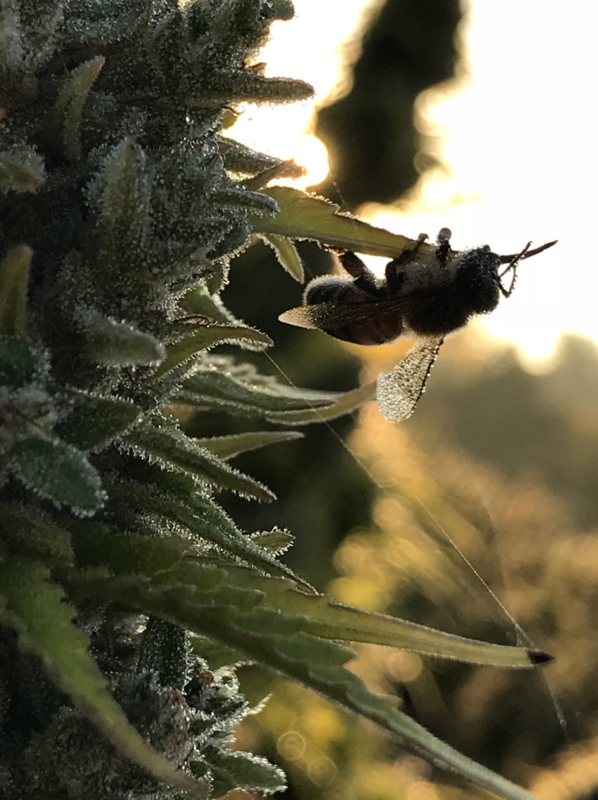 This entry was posted in Education, Events, Farm Updates, News, Uncategorized and tagged cannabidiol, CBD oil, farm updates, farmers market, frogsong farm, frogsong farm cbd, full spectrum cbd, hemp cbd, hemp derived, march update, newsletter, pollinators, soil health, soil prep, spring on the farm, sustainability.